Wadding, or ‘batting’ as it is known in the US, is the layer of material in between your quilt top and backing fabric, and the type of wadding you choose will determine the way your finished quilt will look and feel. The first thing you need to consider is how thick you want your finished quilt to look. This is where the ‘high loft’ and ‘low loft’ come into play. A high loft means the wadding is thick with more apparent quilting lines and will ‘puff out’ more, whereas a low loft is thin and better for a flatter finish and for showing off your piecing rather than the actual quilt lines. Most quilters prefer to use a low loft as it’s easier to machine or hand quilt and a high loft can be difficult in this area due to too much bulk. The good news is that low loft waddings are just as warm and cosy! The composition is the next factor you need to bear in mind when choosing your wadding. There are various benefits for all types of wadding, whether it be their great quality, durability or economical value. Take a look at a few examples of wadding compositions along with their pros and cons and how you can better understand them. 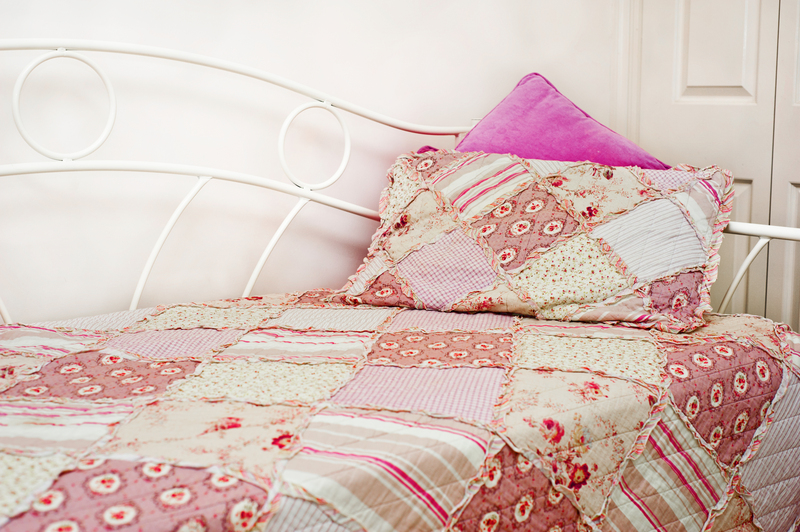 Cotton is a soft, breathable, natural fibre and a popular choice for many quilters. Cotton wadding tends to shrink if not pre-shrunk, creating a classic, wrinkly ‘lived in’ look, and whilst it’s usually a low loft, this can vary, so there are more options when choosing a wadding suitable for your project. Some cotton waddings are needle-punched, giving them extra stability, making them a good choice for wall hangings or items that will be heavily machine stitched. For those who prefer hand quilting, you’d be better off looking for a cotton wadding without needlepunching or scrim. It is one of the more expensive waddings available, but with the price does come quality. Polyester is a popular choice which of wadding which has been used by quilters for years as it comes in a variety of lofts, is very durable and is less costly than all other commercial waddings. It is light, doesn’t shrink and maintains its shape, but it isn’t as breathable and doesn’t drape (how it feels after being quilted) as well as cotton or bamboo waddings. As it is one of the cheaper waddings available, it can have a tendency to beard after a while, which is more evident if your fabrics are dark coloured. Bamboo is an increasingly popular choice because it’s a more sustainable plant than cotton. This wadding benefits from being environmentally friendly and its naturally low lofts gives it a good drape. Plus, it’s soft, cosy and great quality! It is suitable for both machine and hand quilting. You can find out more about bamboo by taking a peek here at our Absorbent Fabrics Guide. These combine the ‘best of both worlds’, and are designed to make quilts loftier and lighter while still providing the benefits of natural fibres. Blends are easy to work with, a good choice for quilters who are unsure which wadding would be best for their quilt and also benefit from being cheaper than pure bamboo or cotton. It might not seem like a big thing to bear in mind when choosing your wadding, but the colour you pick can affect your finished quilt. Waddings generally come in three colours: white, natural and black. Whilst white is the most commercially available and arguably the most popular, black wadding is a much better choice for quilting projects using darker fabrics as it won’t show through. So before you buy, make sure you think about which fabrics you’ll be using for your quilt and which colour wadding would be most beneficial to you. It all depends on the size of your quilt. Simply measure up the size of your quilt and buy as much as you need! Most waddings are available by the cut half metre and they can also come pre-packaged in standard sizes for crib, twin, double and king, so you’ll be ready for the project that you wish to make from the get go. And that should be most things covered! If you’re still unsure about some of the words or phrases used throughout the guide, take a look below at the handy glossary. Drape: How a quilt feels after being quilted. 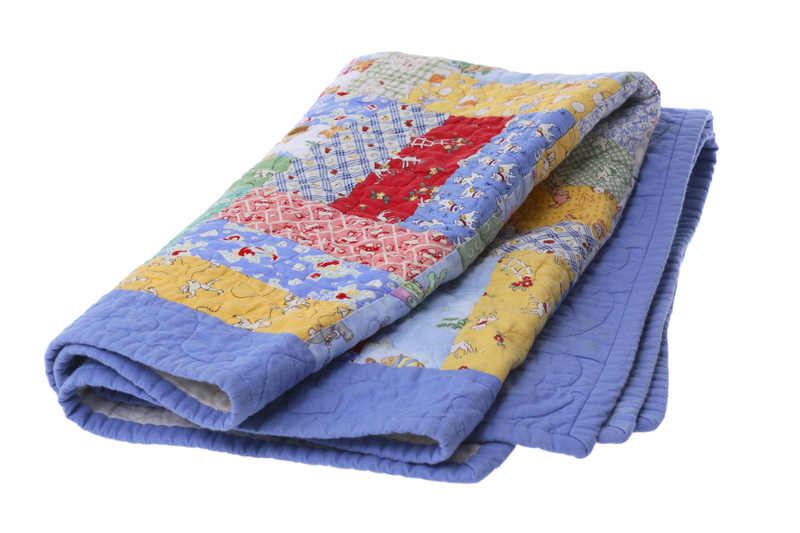 Good quality wadding will allow your quilt to drape around you comfortably without being too stiff. Loft: the weight and thickness of wadding. A high loft means it’s thick, a low loft means it’s thin. Scrim: a thin grid of polyester/synthetic stabiliser which is needle punched into the wadding to stabilise the cotton fibres and prevent them from bearding. Also adds strength and stops the wadding from distorting and stretching. I hope that you’ve found this guide useful and that when you next need to buy wadding it will cause you less of a headache! Happy quilting! Thank you! I hope the advice comes in handy! Hi Nicky, could you explain about “the density of quilting rating” sorry I’m new to this and I haven’t a clue what you mean. The blog was very informative for a beginner like me. Can we now have the same type of thing for Interfacing etc for making bags ? Please.